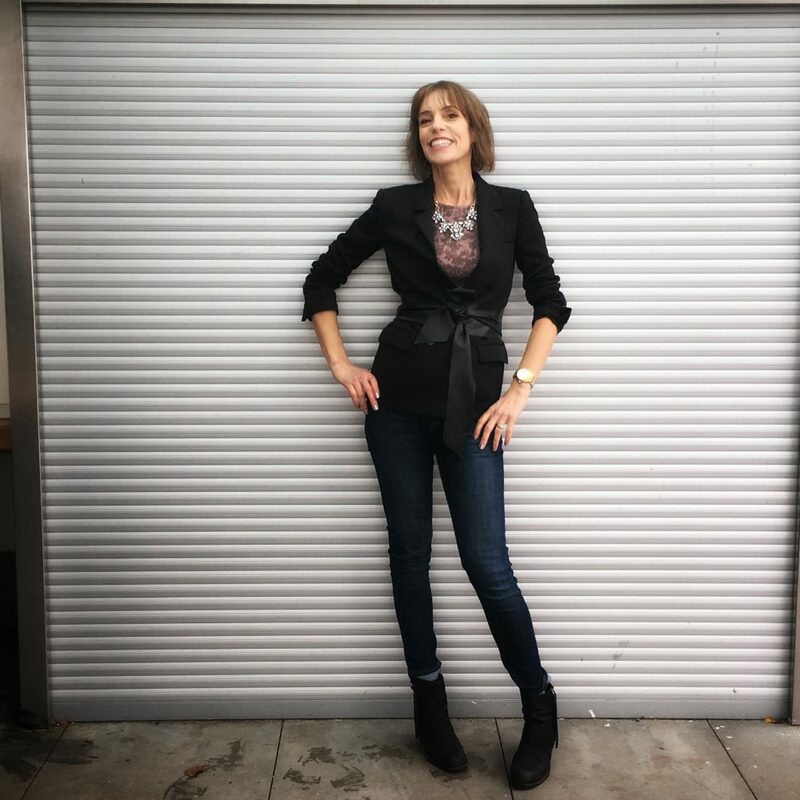 I have written about personal style and aging before, but it recently hit me hard. This Wednesday marks the day I am officially 50 weeks away from turning 50 years old. I’ll be 50 in 50. I’m excited and a little anxious, but determined to greet this milestone with pride, joy and peace. I went kicking and screaming into my 40’s and want things to be different this time. Instead of getting older, I’m thinking of this birthday as “levelling up”. It’s a privilege to get here. Hell yeah, I’m going to celebrate! It sounds cliché, but I feel comfortable in my own skin. Can I get a “Hallelujah!”? It’s a feeling I’ve longed for since FOREVER, and I am finally there…most days anyway. I easily connect with children and seniors as well as my peers. I have friends of all ages and life feels richer because of that. It’s fun to be me. My sense of identity has never been stronger. I lost a piece of myself after my son was born, but I’m back with a more powerful sense of purpose and self. I still don’t feel like a grown-up. Will I ever? Do you? To keep me in this positive state of mind, I’ll be celebrating all year long. I am compiling a list of things I want to do before the big day. Small goals as well as lofty goals. Some items on the list I have done before and want to do more of. Others I have never done before and turning a half-century seems like a damn fine reason to do it. On my list, I have included travel, connecting with old friends, meeting some virtual friends in person, dancing (! ), taking an improv class with my son, remarrying my husband and reuniting with my sister. I’m going to start a journal as my friend, writer and writing instructor Taslim Jaffer recommends. I am also learning to eat for vitality from my friend Marnie Grey of Glow Away. I’m looking for more suggestions and would love for you to send them my way. I hope you’ll follow my 50 in 50 journey. Whether you’re honouring or lamenting YOUR 50th trip around the sun, let’s inspire, commiserate and cheer one another on towards a healthy, stylish and joyful middle age and beyond. Let’s hang out on Facebook, Twitter, Instagram and Pinterest. You look great and you don’t look 50. 50 is the new 30. I enjoyed you post and I like the tone that you delivered. You are doing a great job and thanks for sharing. Thank you for your kind words. I definitely don’t feel the way I thought 50 was going to feel. Yay! 50 never looked so good!. I love that concept of 50 in 50 weeks. It’s funny because I feel less and less like an adult the older I get!. Thanks, Zoey. In many ways, I feel younger too (except for when I have to read any fine print. haha!) I think as we begin to feel more comfortable in our skin, we become less inhibited which is one of the joys of childhood. Dee I love this! My favorite thing you said was to start seeing your laugh lines as a souvenir of a life well lived. Amen to that. Great blog and so glad I’ve found you!